I suppose it was only inevitable, but I’m not sure we expected this to happen so quickly. Following the removal of Flappy Bird this morning, games that rank highly in search results for “Flappy Bird" are absolutely rocketing up the iTunes charts. Worse yet, the game that’s reaping the largest reward from being the first game that appears in the search, Flappy Bee (Free) is completely ripping its icon and game art from Bee Leader ($0.99), a similarly free game that we published a 4.5 star review for back when it was originally released early last year. 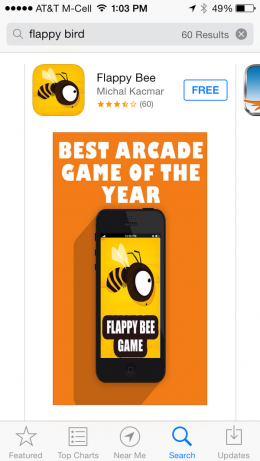 Bee Leader developer Greg Harding already has contacted Apple, but has yet to hear back. Much like how Flappy Bird is going to be on financial cruise control for some time to come because of its large install base that’s being served an advertisement on every retry, even if Flappy Bee is pulled down tomorrow, its ad revenue still will be significant for some time to come. Flappy Bee has shifted a shocking 139 slots on the top 200 free listing, which puts it (as of this writing) at a solid #11. 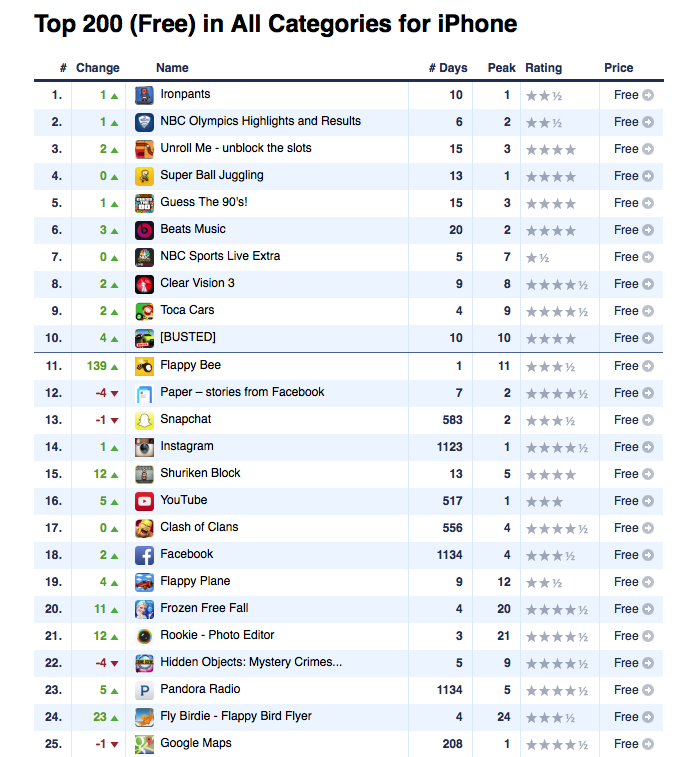 Similarly, Flappy Plane (Free) and Fly Birdie – Flappy Bird Flyer (Free) are flying up the charts at #19 and #24 respectively. With games like Fluffy vs Flappy Birds (Free) and Flying Flappy Unicorn Bird (Free) also having great placement for the search term “Flappy Bird," I feel like it’s only a matter of time before they begin significantly charting as well. It’s anyone’s guess how long it’ll take before Flappy Bird mania dies off, but with the I Want a Clone tumblr pointing out that freelance developer site Elance being absolutely loaded with different people straight up asking for direct clones, I have a feeling things are going to get way worse before they get better in the “doing everything we can to ride on the coat tails of Flappy Bird" arena that the App Store has become recently. 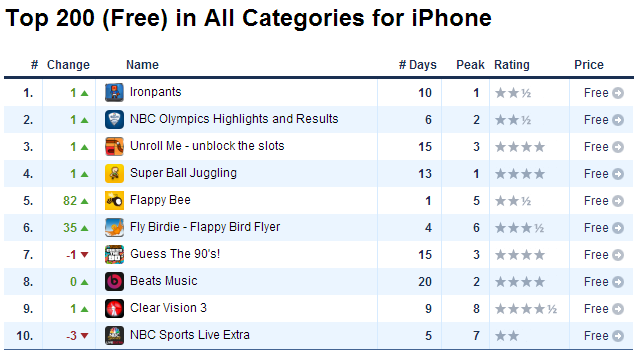 Update: Flappy Bee is now sitting at #5 top free four hours later.